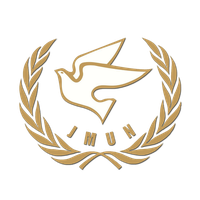 Jakarta Model United Nations (JMUN) is the biggest International Model United Nations (MUN) in Indonesia which first-ever held in the capital city of Republic of Indonesia, Jakarta, by ISAFIS (Indonesian Students Association for International Studies) in 2011. 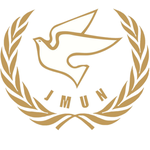 This year's JMUN seeks to revolutionize MUNs by implementing the most accurate UN procedure developed by the United Nations Department for Public Information, UN4MUN. Through our four days conference, we offer an opportunity to experience the challenges of international diplomacy and get a thorough understanding of the United Nations' decision-making process. In collaboration with United Nations Information Centre (UNIC) Jakarta, JMUN 2018 aims for raising awareness of youths in the importance of cooperation as one of the key elements to make our Sustainable Development Goals come true. Hence, the grand theme "Advancing Sustainable Development through Diplomacy" is chosen to support the mission. Jakarta MUN 2018 will be held on August 9th-12th at Universitas Pertamina.